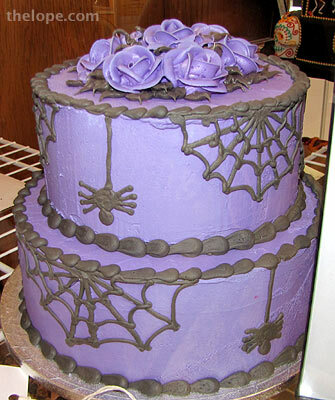 Halloween usually has its creepy tendrils into the year as far back as the Kansas State Fair in September. 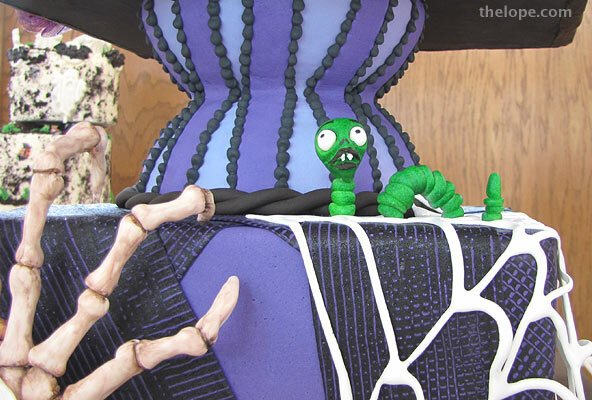 This year it was most evident in the cake contest, the theme of which was "Things that Go Bump in the Night." 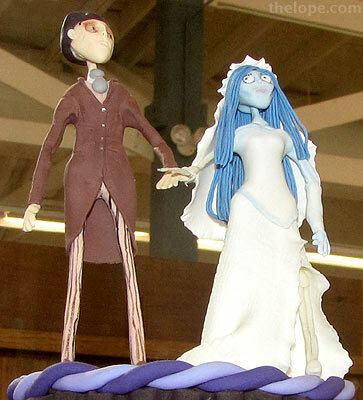 Above and below are details of a wedding cake made by Brianna Banning of Andover, who won 1st prize for her Corpse Bride wedding cake, inspired by the Tim Burton movie. 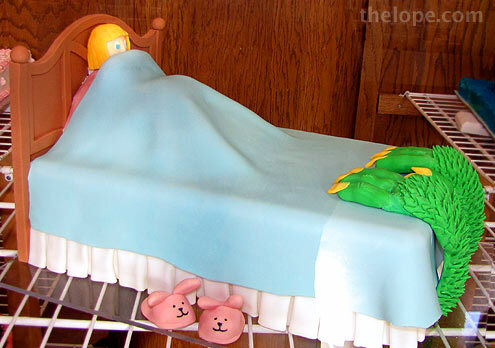 I'm not actually a fan of cakes in general, and usually don't pay much attention to anything in the Domestic Arts Building, but even a sugary attempt at the macabre is appreciated. 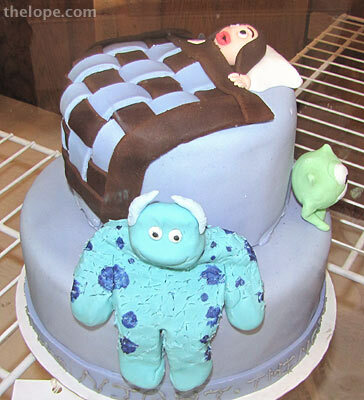 Sarah Brummett of Hutchinson won 1st prize for this cake in the teen division. I could not see the name on this entry, but the description mentioned it used cookie crumbs for the dirt seen in this close-up. This was the contribution of Caylee Ashcraft of Hutchinson. Lauren Daly of Olathe made this one. I like the oblivious bunny slippers.